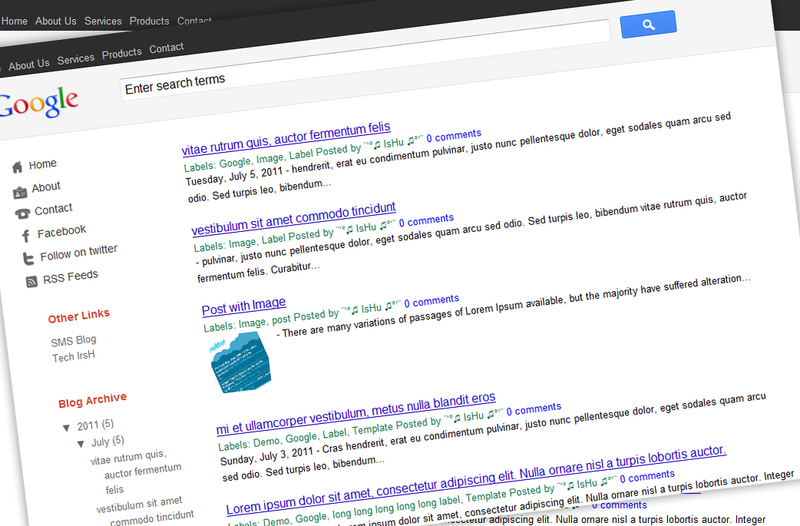 Google recently changed the style of the Google page, which gave a new look to it. On seeing its simple and cool layout i started designing this template. This template is designed user friendly. You no need to host any images since its already done. All you have to do is. Goto Blogger Dashboard and select your blog to which you are willing to apply this template. There in 'Upload a template from a file on your hard drive:' Browse the downloaded xml file and upload it. and modify it as per your requirement. and modify as per your wish. your left bookmark/sharing option is some what disturbing, it interrupts post view,can you do something about it!!!! @kaushik there is no sharing option in the above template link. Maybe u are talking about this TechIrsH site template. its fine with me, maybe its not suitable with low resolution display. Will try to change it :) Thanks for the comment.